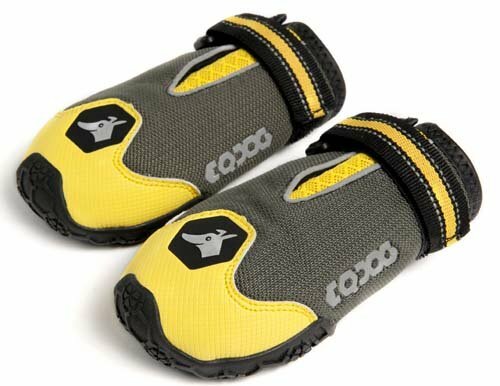 A set of two yellow dog shoes, including a pair of socks in order to protect the paws of the dog. 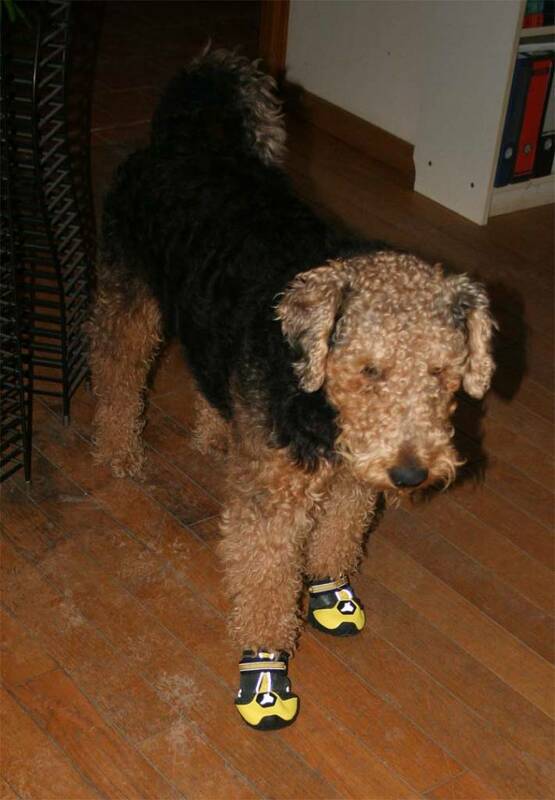 A set of two dog shoes, including a pair of socks in order to protect the paws of the dog. 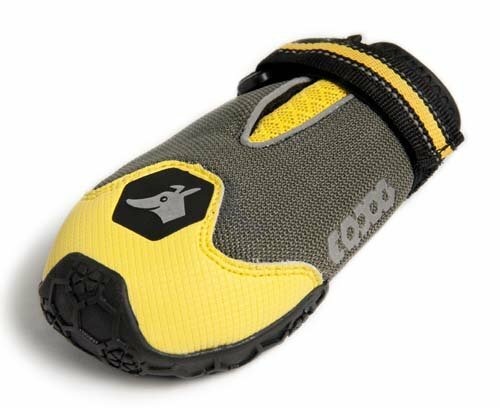 The dog shoe features a soft non-slip sole with a rectangular pattern. 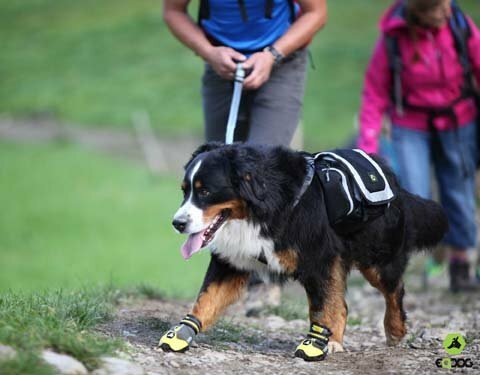 This allows the dog to wear the shoes on any surface, such as asphalt, rocky trails and a salty or icy surfaces. The sole is at the front is pulled up to the top for extra protection of the toes and nails. 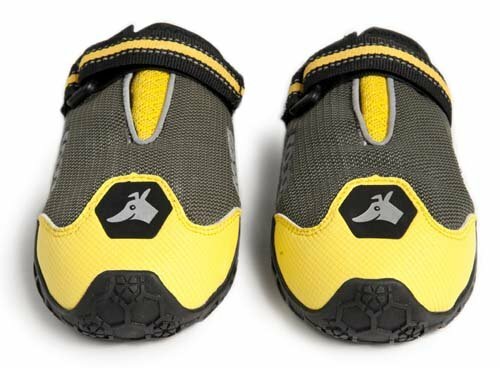 The dog shoe has a water-repellent coating so that most of the moisture is kept away from the paws. The included socks provide even more protection against water and dirt. 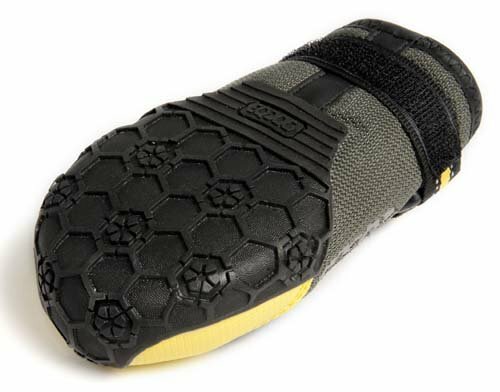 The shoes are easy to take on and off through the wide Velcro® closure. 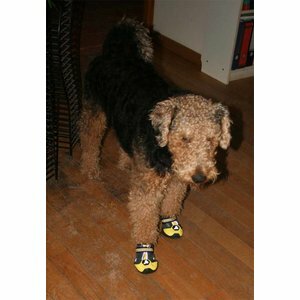 These dog shoes come in a set of two, pay attention that the front and rear paws often differ in size. 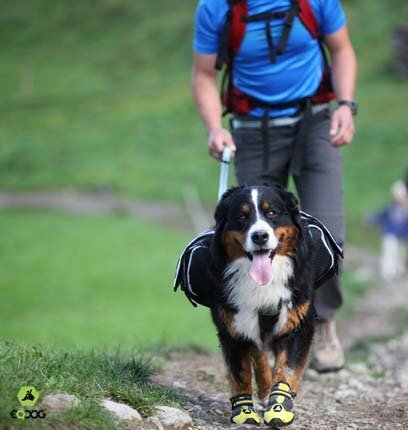 Ik ben heel tevreden over deze schoenen voor onze hond. Jaarlijks hebben wij last van de 'herbe folle', die dan tussen zijn tenen in zijn huid dringen. Met de schoenen hebben wij vorig jaar een hoop ellende kunnen voorkomen door hem deze schoenen te laten dragen. Het enige jammere is, dat de bijgeleverde sokjes toch wat aan de kleine/krappe kant zijn, maar de schoen is TOP!